The Segway is a self-balancing electric scooter that you steer by leaning in the direction you want to go. 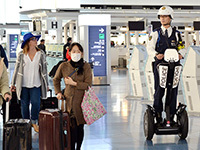 It's used by commuters, patrol officers, tour groups, and also as a platform for mobile robots. 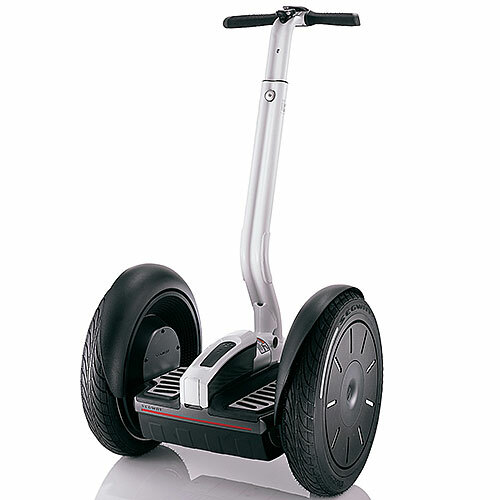 The Segway i2 self-balancing scooter. 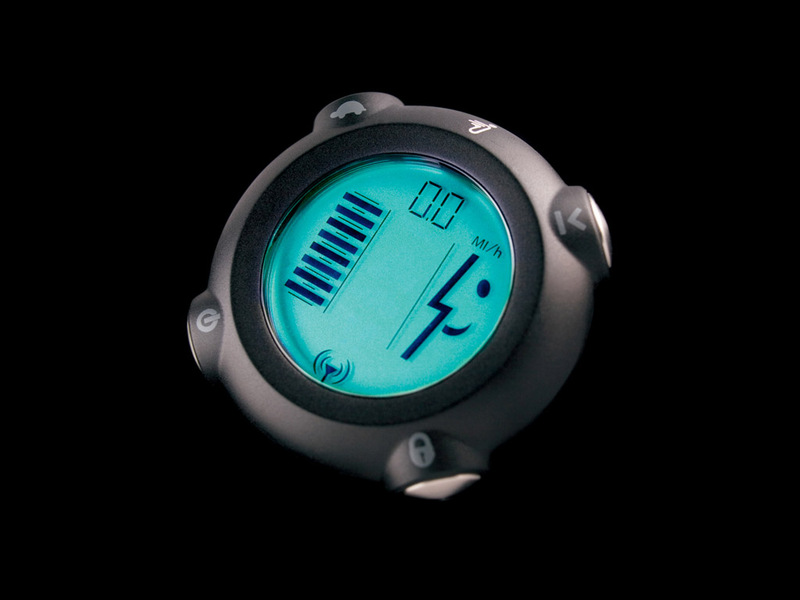 The InfoKey shows speed and battery life for your Segway. 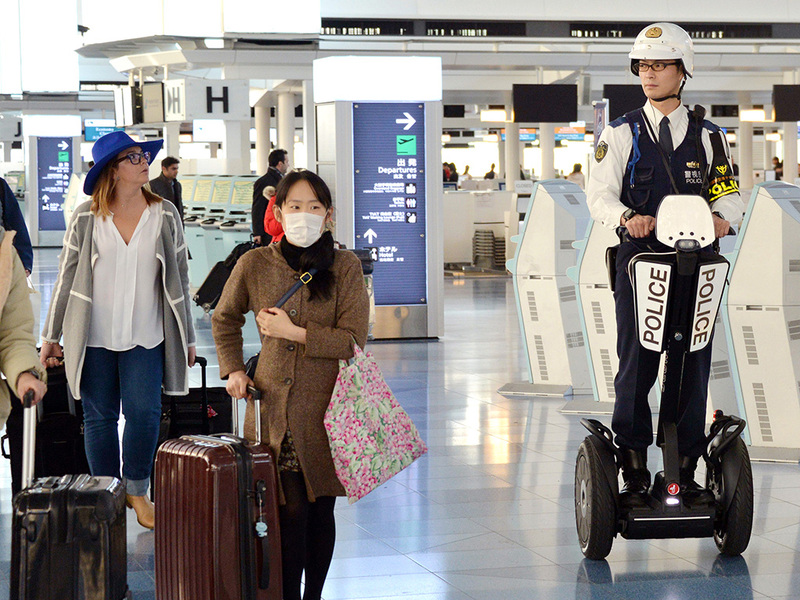 A Chinese policeman rides a Segway. 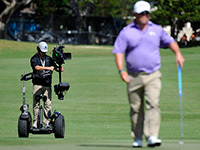 The Golf Channel uses a Segway to film the 2012 Sony Open. 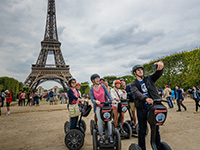 A Segway tour in Paris, France. 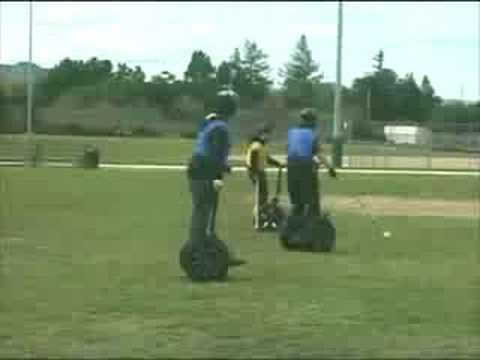 Steve Wozniak teaches you Segway Polo. 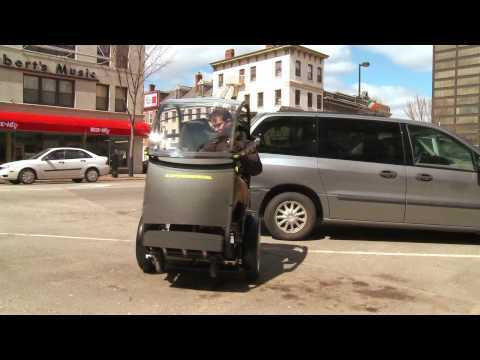 A Segway-based vehicle drives in New York. 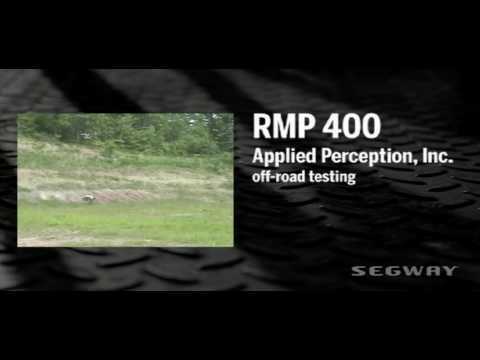 Using Segway-based robots as shooting targets. 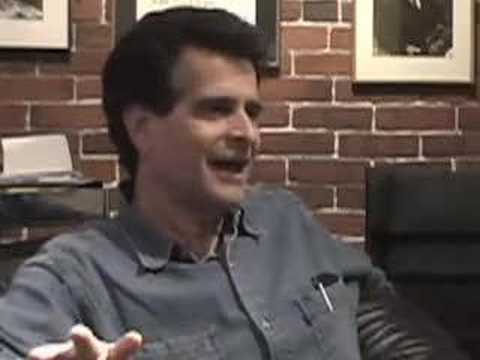 Dean Kamen on the Segway, and the hype. 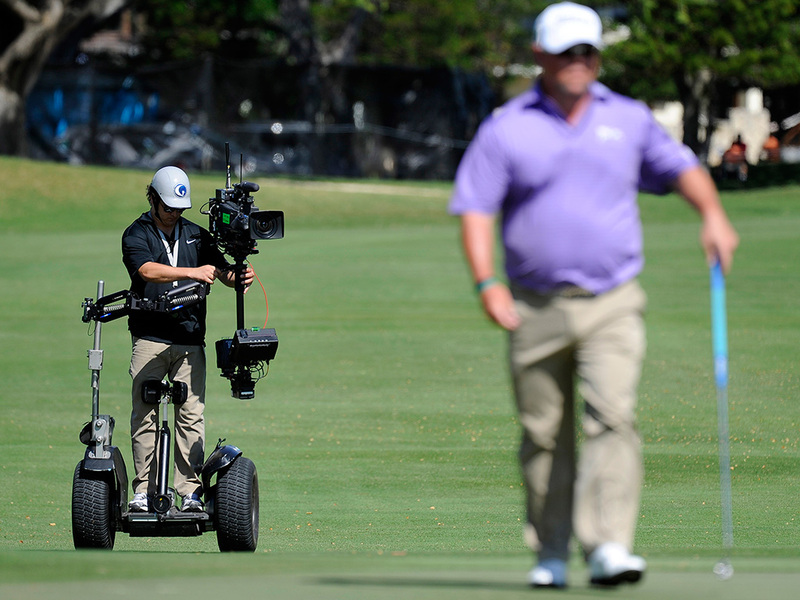 Segway polo, a variation of horse polo, with players riding on Segways, became popular among some Silicon Valley residents, including Apple cofounder Steve Wozniak. 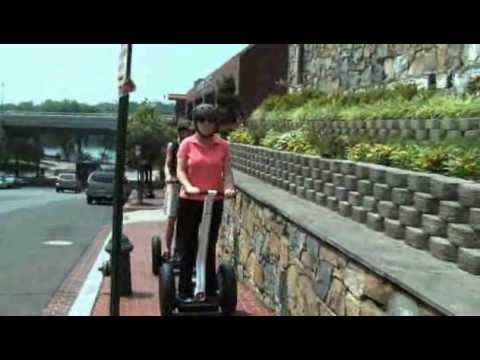 In a famous 2003 incident, former U.S. President George W. Bush fell off his Segway. 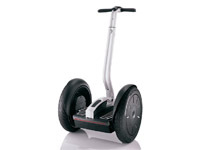 The name Segway comes from the word segue, which means "to transition smoothly from one state to another." 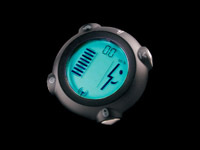 Able to carry up to 118 kg (260 lb), including rider and cargo. Capable of turning in place. 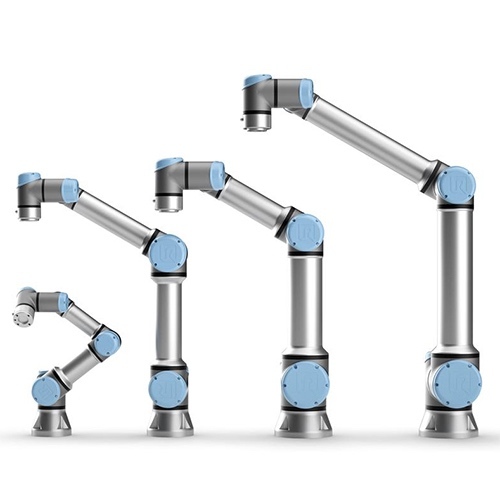 Equipped with redundant control systems. 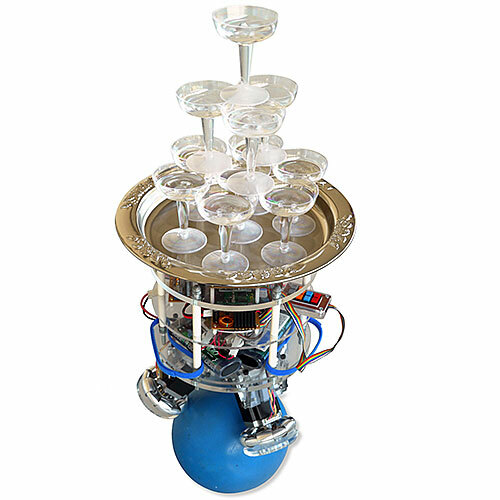 Two tilt sensors, five gyroscopes. Two servo drive motors with redundant winding and electric circuits. Lithium-ion battery. Range of 38 km (24 mi). 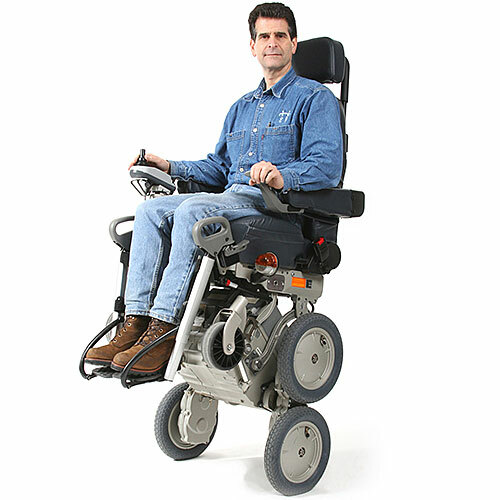 The Segway was invented by Dean Kamen and a team of engineers from DEKA Research and unveiled in 2001. 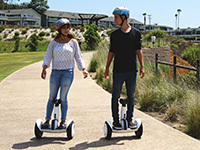 Sales started the next year amid great hype and speculation about its potential to transform personal transportation. After several years on the market, the vehicle didn't reach the sales levels its creators and investors expected. 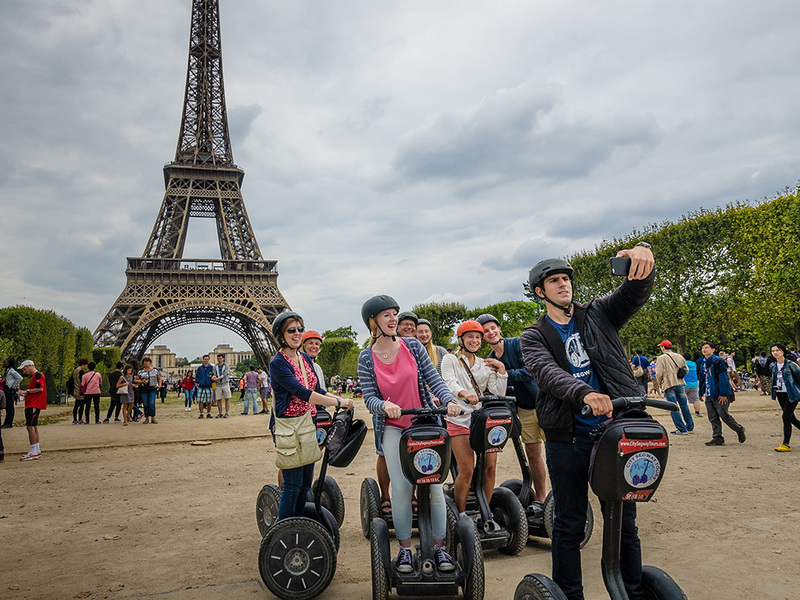 Several cities around the world banned Segways from sidewalks and public roads due to safety concerns. 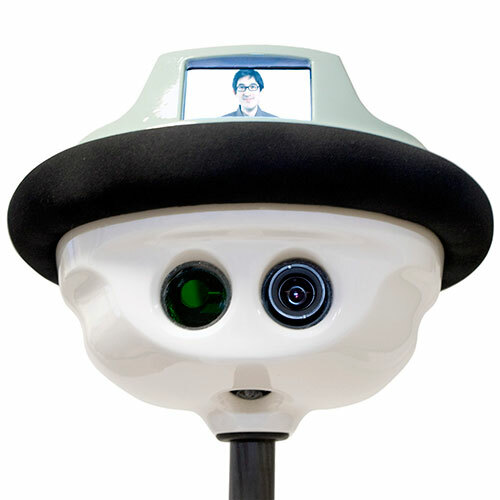 In 2003, Segway developed the Segway Robotic Mobility Platform (RMP) to serve as a platform for researchers building mobile robots. 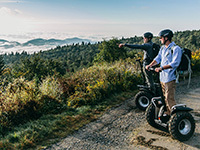 In 2010, Segway Inc. was acquired by a group led by British entrepreneur Jimi Heselden, who died later that year in an accident involving a Segway on his property in the United Kingdom.